Kathryn Kemp Guylay, MBA, CNC (Certified Nutritional Counselor) shares inspiration and actionable advice for your happier, healthier and more successful life. 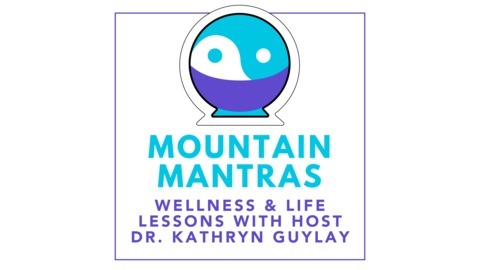 The Mountain Mantras: Wellness and Life Lessons Podcast features today’s leaders in the wellness industry as well as successful entrepreneurs and business visionaries. Each show highlights a mantra or set of mantras that listeners can follow and integrate into their days in to reach greater heights in their careers and personal lives. Kathryn is an author, wellness coach and entrepreneur that has escaped the corporate office to enjoy skiing, hiking and exploring the mountains of Sun Valley, Idaho in between her working hours. She is also a parent and occasionally weaves parenting advice and insights about the changing world of education into her mantras. Let the Mountain Mantras: Wellness and Life Lessons Podcast inspire you to reach for your dreams in wellness, life and business success. 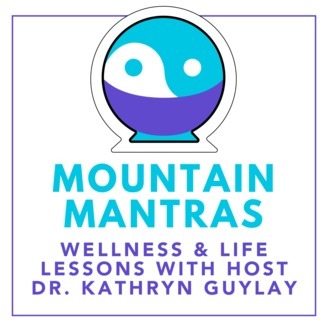 Kathryn Kemp Guylay explains in this (temporarily) final episode of the Mountain Mantras: Wellness and Life Lessons Podcast how she is starting a new podcast, Positive on Publishing. Lots of free gifts accompany this broadcast.